Following the Cherries unlucky 1-0 defeat at Stamford Bridge against Chelsea in the Quarter-Final of the League Cup, AFCB are now back to the bread and butter games of the Premier League. This Saturday our visitors are another seaside town, Brighton (the Seagulls). The Cherries have lost 6 out of their last 7 games in the Premier League, this Saturday at Dean Court in front of our own crowd will be a good time to stop that sequence and return to winning ways, even with our injuries. Brighton’s manager Chris Hughton will have been in charge for four years at the end of this month. Iran international winger Alireza Jahanbakhsh from AZ Alkmaar for a club record fee. Striker Florin Andone from Deportivo La Coruna . Goalkeeper Jason Steele from Sunderland. Defender Bernardo Fernandes da Silva Junior from RB Leipzig. Goalkeeper David Button from Fulham. Midfield player Yves Bissouma has signed for Brighton from Lille. Defender Martin Montoya from Valencia. Brighton started the first three matches this season with two away defeats and a home win. Those games were away against Watford which finished 2-0. The home game was against Manchester United, which ended 3-2. Then it was a trip to Anfield to face Liverpool, it ended 1-0. September there were four games, two finished in draws, the other two in defeats. The first two games ended in 2-2 draws, at home against Fulham and away against the Saints. The two defeats, at home 1-2 against Spurs and 2-0 away against Manchester City. October was a very good month for Brighton with three 1-0 wins. At home against West Ham, away at Newcastle and finishing the month at home against Wolves. November saw Brighton’s results take a dip, first two games were away defeats against Everton 3-1 and Cardiff City 2-1. The home game against Leicester City ended in a 1-1 draw. December started well with two wins, first away at Huddersfield 1-2 and then at home against fierce rivals Crystal Palace 3-1. The next two games ended in defeats, away at Burnley 1-0 and at home against Chelsea 1-2. Under Eddie Howe’s two turns in charge of our team, Brighton have never beaten us. Last season we met Brighton in the Premier League at Dean Court in September, the first half finished goalless. In the second half, Brighton took the lead from a Pascal Gross cross that was headed in by Solly March 10 minutes into the second half. In the 65th minute, Eddie Howe made what turned out to be an inspired substitution, taking off Ryan Fraser and bringing on Jordan Ibe. Two minutes after coming on, his pass to Andrew Surman brought our equaliser as Surman put the ball away to make it 1-1. Six minutes later Ibe struck again and from his pinpoint pass to Jermain Defoe, that turned out to be our winning goal as Defoe on the right of goal beat the goalkeeper to make it 2-1. The away game at Brighton was on New Year’s Day 2018, this game ended honours even 2-2. Brighton’s goals came from Anthony Knockaert and our old player Glenn Murray. The Cherries goals came from Steve Cook and Callum Wilson. 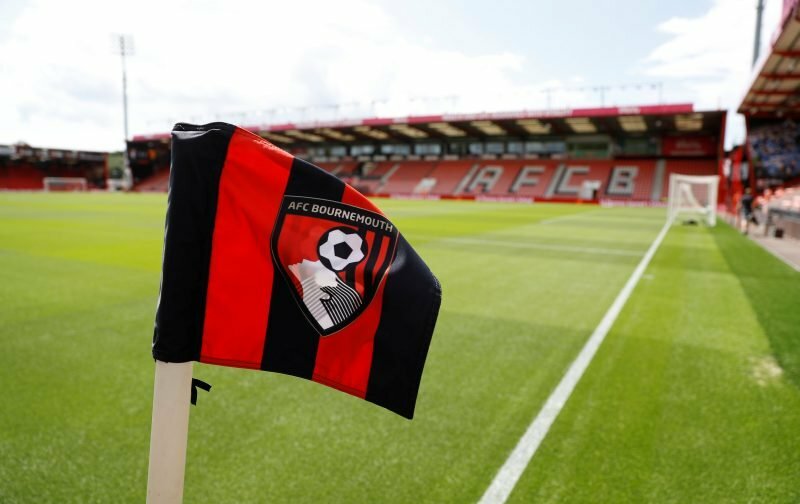 In all our league meetings at Dean Court AFCB have Won 24 Drawn 17 & Lost 10. In all competitions, AFCB have Won 41 Drawn 29 & Lost 37. AFCB are in 11th place with 23 points. Brighton are in 13th place with 21 points. Tyronne Mings was amongst the substitutes at Chelsea which is good news. Simon Francis might be available for Brighton. Some good performances in the League Cup to give Eddie food for thought when he considers his starting 11 against Brighton. Lys Mousset must be one player he might just have in mind. Callum Wilson played 90 minutes at Stamford Bridge, but expect him to start on Saturday and lead the line. We missed him at the home game against Liverpool through injury. He came on as a substitute in the 58th minute at Wolverhampton. Need him to be on target on Saturday to get us back to winning ways. David Brooks looked sharp Wednesday night and Ryan Fraser is always a danger. Jose Izquierdo has been out with a knee injury. Alireza Jahanbakhsh out with a thigh injury. Shane Duffy is suspended. 35-year-old Glenn Murray, leading scorer with 8 goals (2 pens), even though 7 were at home and the one away was a penalty. Solly March on their wing has been showing good form, in the last month has had 4 out of his 5 assists this season so far. Another player is Anthony Knockaert. Had him in our home win against Crystal Palace. Have to beat them, otherwise, their fans will be unbearable – Join the conversation, click here.